Pascal Rogé exemplifies the finest in French pianism. Born in Paris, he was a student of the Paris Conservatory and was also mentored by Julius Katchen and the great Nadia Boulanger. Winner of Georges Enesco piano competition and 1st prize of Marguerite Long Piano competition, he became an exclusive Decca recording artist at the age of seventeen. His playing of Poulenc, Satie, Fauré, Saint-Saëns and especially Ravel, is characterized by its elegance, beauty and stylistically perfect phrasing. Mr. Rogé has performed in almost every major concert hall in the world and with every major orchestra across the globe and has collaborated with the most distinguished conductors in history, including Lorin Maazel, Michael Tilson Thomas, Mariss Jansons, Charles Dutoit, Kurt Masur, Edo de Waart, Alan Gilbert, David Zinman, Marek Janowski, Sir Andrew Davis, Raymond Leppard and others. 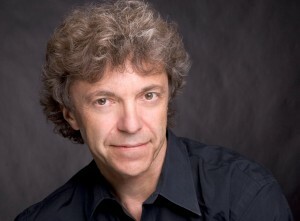 One of the world’s most distinguished recording artists, Pascal Rogé has won many prestigious awards, including two Gramophone Awards, a Grand Prix du Disque and an Edison Award for his interpretations of the Ravel and Saint- Saens concerti along with the complete piano works of Ravel, Poulenc and Satie. Several years ago, Mr. Rogé began a new and ambitious recording project for Onyx called the Rogé Edition. With the Vienna Radio Symphony under Bertrand de Billy, he has recently recorded two CDs of both of the Ravel Piano Concerti and the Gershwin Concerto in F and Rhapsody in Blue. Recently, Pascal has enjoyed playing recitals for four-hands/two-pianos with his partner in life and in music Ami Rogé. Together, they have travelled the world appearing at prestigious festivals and concert halls and recorded several CDs dedicated to the French two-pianos and four-hands repertoire. In 2011 they have given the premiere of a newly commissioned Concerto for Two Pianos by the composer Matthew Hindson with the Sydney Symphony Orchestra conducted by Vladimir Ashkenazy. Recently chairman of the Geneva Piano competition, Pascal Rogé is also dedicated to teaching and gives regular masterclasses in France, Japan, United States and United Kingdom.